Browse our range of carefully restored aneroid and mercury barometers, thermometers and hygrometers all available for sale. 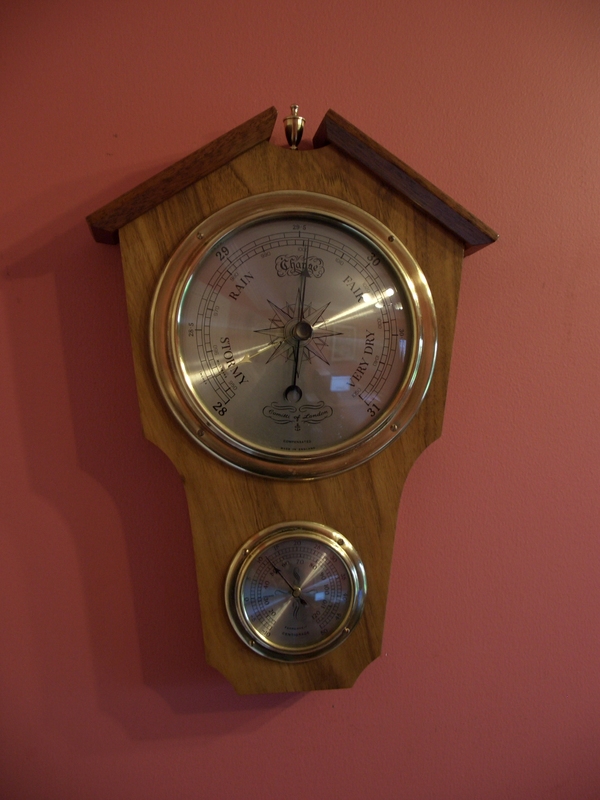 Yeates & Sons aneroid barometer – SOLD. 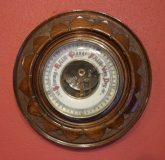 Irish carved oak aneroid barometer made by Yeates & Son Dublin. Fully restored with one years guarantee. Ref: g0910. Aneroid barometer made by Comitti. Walnut case with 5" silvered dial with supplementary dial reading Centigrade and Fahrenheit temperature indication. Fully restored with one years guarantee. 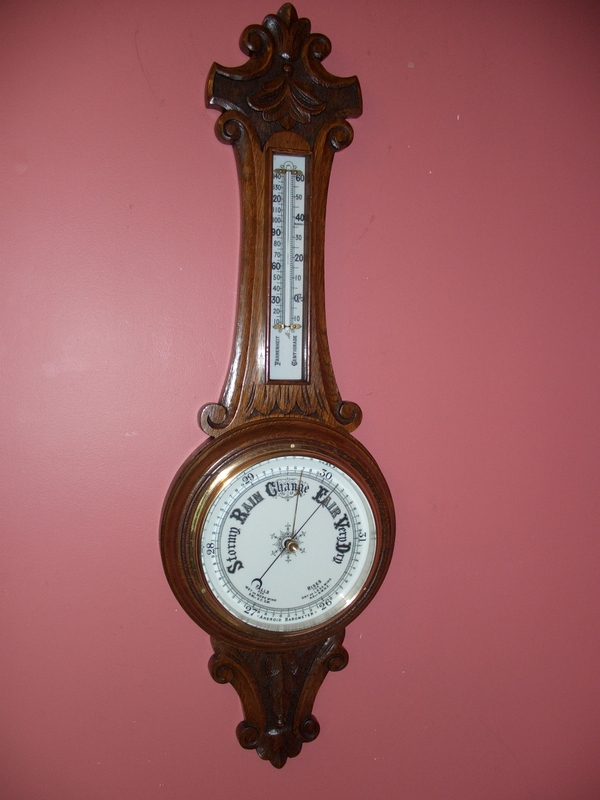 Victorian aneroid barometer. 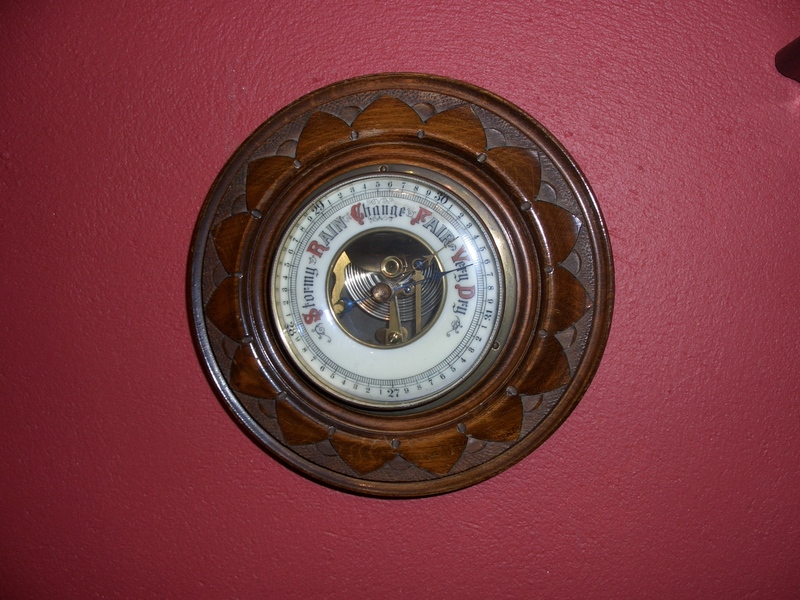 Nicely carved oak cased barometer with 8" dial under thick 6mm bevelled glass. Thermometer with Centigrade and Fahrenheit scales. Fully restored with one years guarantee.